through an itinerant strategy that guides local talent to provide camp experiences for kids in under-resourced areas. Duffel teams bring much needed resources, staff, and the equipment to assist a church or local organization with starting a camp program. 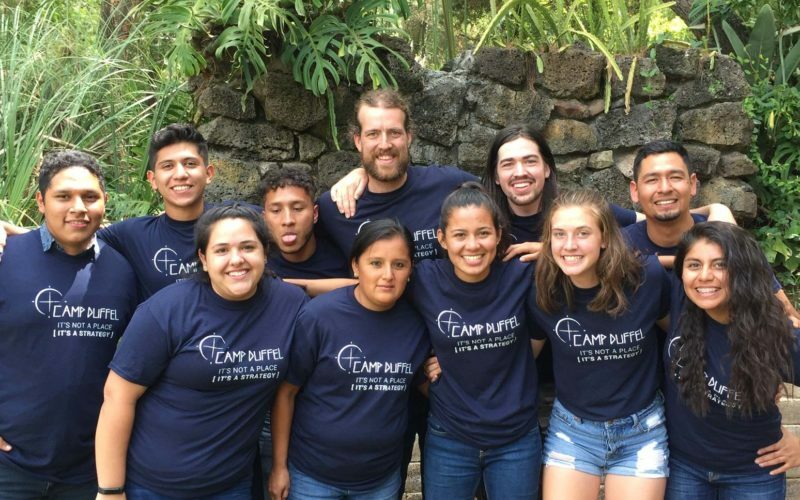 Utilizing Camps International's philosophy regarding purposeful program, intentional activities, and discipleship-driving small group methods, Camp Duffel offers training and encouragement for churches around the world. Kids aren't kids forever, that's why we do camps. is that the kids and counselors who attended the camp event will continue in a discipling relationship under the direction of local church leadership. Each summer, teams of trained counselors travel throughout Mexico and to other parts of the world to assist churches in developing their camp. Bringing small group philosophy and skill-based activities together, camp is a unique opportunity to develop a relationship with kids when they’re in their most impressionable years. Camp provides a nurturing environment for counselors to practice ministry skills so they can return to their pastor and take on more serious leadership roles in their church.